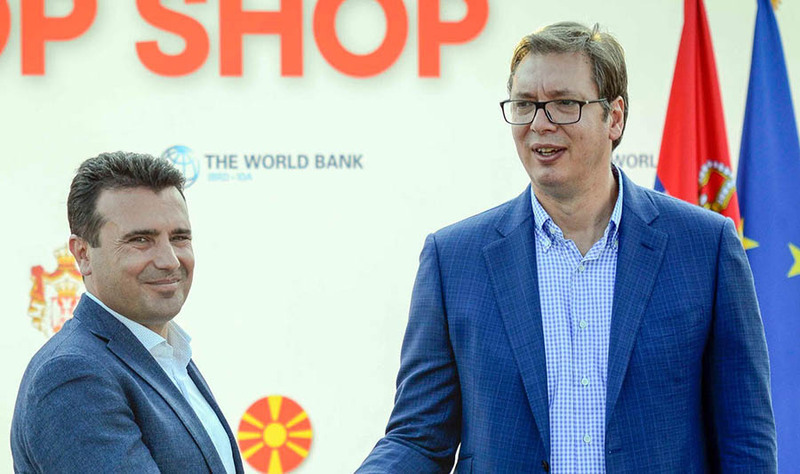 Serbia does not interfere in the name referendum and Macedonia supports positive solution to the dispute with Kosovo, Serbian President Aleksandar Vucic and Macedonian PM Zoran Zaev said at the Tabanovce-Presevo border crossing where they promoted the concept of integrated border management. At the area between the crossings between Macedonia and Serbia, Tabanovce and Presevo, the two officials promoted the concept for travel of citizens and commodities with only one stop at the crossing with all border controls. Both leaders noted this project will promote the cooperation and trust between the two countries. In addition to messages of friendship and cooperation they also discussed current pressing issues.